Love a good sheet mask for nourishing the skin? Then you’ll love today’s beauty post where I’m sharing all the benefits of using sheet masks as part of your skincare routine and the best sheet masks for every skin need! As a beauty lover I can’t help but get excited when I discover an amazing product that helps me look and feel my best. And of course I love sharing those products with you, which is why I’m super stoked to be teaming up with Patchology (my favorite skincare brand) today to talk about my current skincare routine obsession – sheet masks. From helping your skin look amazing and giving your skin a re-boost after a rough night, sheet masks are the absolute perfect, easy solution to addressing numerous skincare concerns. But with so many choices, it can be a bit overwhelming to know which sheet mask is the perfect mask for you, which I why I’ve created today’s post to help make it easier. In today’s post, I’m sharing the best sheet masks for every skincare need, tips on how to use each of them, and ways to get the most benefit from using them. I’m also sharing my absolute favorite products of each, all of which are inexpensive and super easy to use! If you read my post on 6 Must-Have Beauty Products for Self Care and Pampering, you’ll know that I’m a huge fan of Patchology and their products simply because they focus on providing great skincare solutions for busy women like myself. 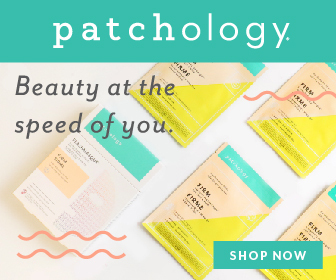 From awesome sheet masks to hydrating eye and lip gels, Patchology has a little something for everyone. Best of all, most products work their magic in just 5 minutes! I don’t know about you all but I certainly don’t have the time to do an hour facial every week, which is why Patchology sheet masks and gels are so great. Their motto is “Beauty at the Speed of You” and all of their products provide quick fixes that easily fit in every woman’s schedule. In case you’ve never tried anything from Patchology, you can check out a listing of their product line over here and easily shop by skincare concern. If you find something you love, be sure and use my coupon code PATCHLOVE1 for 20% off all orders! If you’re not super familiar with sheet masks, they are sheet fabrics designed to fit on your face and have been soaked in a concentrated serum full of beneficial nutrients for your skin. Sheet masks actually first originated in South Korea, but have quickly gained popularity in the U.S. over the past few years. They’re the perfect quick solution on days where you need a skincare pick-me-up and on days where you want your skin to look its absolute best. Unlike regular skin serums where multiple applications are needed to see results, sheet masks are hyper-concentrated and in just one use can provide the same nourishing benefits of getting a full facial. The sheet mask itself helps lock in all the nutrients from the serum and you’re left with noticeably softer, moisturized skin. Unlike regular skincare masks which have to be applied by hand and can sometimes get super messy, sheet masks come in individual packets for easy, mess-free application. With the exception of the SmartMud ™ No Mess Mud Masque, which has to be washed off after using, all of Patchology sheet masks have zero mess involved. Once you’ve worn them, you can just rub in all the nutrients anywhere on your skin that needs some extra nourishing. Ready to give sheet masks a try? I’m including all the best sheet masks for every skin need below that will help your skin look and feel amazing. I’m also including the specific ingredients and benefits of using each sheet mask. If you struggle with dry skin, then this mask was made for you! Not only does this mask hydrate the skin, but it also helps soften and smooth the entire look of your skin to help give you a beautiful dewy finish. I’ve been loving using the Hydrate Sheet Mask lately to help my skin recover from the rough winter months. Skin looking a bit dull? Brighten it up with this amazing mask made with licorice extract, vitamin C, and grapefruit seed extract. The Illuminate Sheet Mask is one of my personal favorites from Patchology as it gives my skin such a beautiful glow. I always receive tons of compliments on my skin every time I use it, and I’m so obsessed! Clogged pores? This mask is amazing at removing toxins from the skin and minimizing pores for a clearer complexion. The secret ingredient? Mineral-rich volcanic ash that helps remove pore clogging debris which can cause breakouts. I can’t get enough of the No Mess Detox Sheet Mask whenever I feel a breakout coming on and it’s so fun to get your mud on! With powerful peptides, this amazing mask helps tighten and firm both the face and the neck area. The Firm Sheet Mask is definitely a great option for those who are looking to soften the appearance of fine lines and will help your skin appear more youthful! Rough night? Both of these eye gels are the perfect relief when you have tired, puffy eyes and they feel so good on the skin! I’m a huge fan and use them constantly on days where I didn’t get enough sleep or if my under eye area is feeling a little dry. Use the Rejuvenating Eye Gels during the day and Restoring Eye Gels at night for best results! My number one tip when using a sheet mask is to make sure you’re applying it to a clean, makeup-free face. Prior to wearing a sheet mask, I always like to wash my face thoroughly, and I personally like to use toner pads to remove any excess oil. Applying your sheet mask to clean skin will ensure no dirt or oil gets trapped in the skin and lets your face absorb all of the amazing benefits of the sheet mask. Second, make sure you are being careful when you apply your sheet mask to avoid it ripping. You also want to take your time when placing it on the appropriate areas of the face to ensure your skin absorbs the mask properly. Remember, the tighter the sheet mask fits on the skin, the better absorption, and the better your skin will look and feel afterwards. A lot of people assume leaving a sheet mask on for longer than the recommended time is a good thing and that it will help your skin more, but it can actually cause reverse effects. Depending on the type of mask, leaving it on for too long can cause your skin to dry out or may cause sensitivity. Instead, stick to the recommended time limit for best results. When using your sheet mask, you may notice some excess product in the packaging or leftover on your face after removing it. Don’t toss it or wipe it away- use it! After removing your sheet mask, rub in any excess product on other parts of your face that could benefit from the product. I also recommend to use any excess product in the packaging on other delicate skin areas that are often overlooked, such as your neck and chest area. Last but not least in order to get great results from using sheet masks, it’s important to develop a schedule and be consistent with it. Whether you choose to use a sheet mask weekly, bi-weekly, or even daily try not to miss a day. I personally love using sheet masks weekly and before any special occasions where I want my skin to look its absolute best. *Thank you to Patchology for sponsoring today’s post on The Best Sheet Masks For Every Skin Need. As always, all opinions are 100% my own. Thank-you for supporting the brands that support Kindly Unspoken! I hope you enjoyed today’s post on The Best Sheet Masks For Every Skin Need and that you’ll give one a try soon! Be sure and head over to Patchology’s website here to check out all of their amazing skincare products and if you see something you love, don’t forget to use my coupon code PATCHLOVE1 for 20% off all orders! Have you used a sheet mask? Are you totally obsessed with them too? Let me know in the comments! I see sheet masks all the time, but I never know what ones are good. These look great and you are even adorable with your sheet mask on! Aw thank-you! I think you’d love them. They feel SO good on the skin and are great for wearing while soaking in a tub after a long day. I haven’t tried thes e yet but I am a huge fan of sheet masks! I try to use them regularly. The illuminating one is my personal favorite from Patchology and it always makes my skin look glowing. I’m a HUGE fan of sheet masks too. I love sheet masks, if it weren’t for them I would never do anything good for my skin. I love that I can put them on while I lay in a hot bath at the end of the day! Who has time to do an hour mask a day? I definitely need to try all of these masks ! I’m definitely a “minimalist” when it comes to my skincare routine, but I love sheet masks and I officially want to try all of these! I’m going to stock up on them so I can stick to a consistent schedule like you recommended. I’m so guilty of being inconsistent, but I know I’ll love the results even more if I keep it up! I’ve really been trying to be more proactive with my skin routine this year and I love sheet masks for helping with certain skin concerns. If I’m feeling dry I use the hydrate one, if I want my skin glowing for a photo shoot then I use the illuminate one, and it’s amazing. Hope you can find some ones that you love! I am obsessed with sheet masks! I’ve never heard of this brand though but am excited to try. I haven’t tried any of their products, so I’m really intrigued. You should definitely give them a try, Lily! I have always wanted to try sheet masks! I loved this post – thank you for breaking it all down 🙂 The Patchology under-eye masks are some of my favorite, so I feel like I would really like these! I haven’t tried any of these sheet masks. They sound really nice! You should definitely try one of them! They feel incredible on the skin and I think they really do help your makeup apply more nicely. I am a TonyMoly sheet mask fanatic, but I need to venture out and try some other brands. I’ll be honest, I was anticipating a selfie with you wearing the sheetmask, so I was really excited to see you actually post one! haha! My husband is creeped out by them, but that may be due to me scaring the daylight out of him the first time I tried one! hehe! This is really helpful! I love sheet masks and it’s great to know which of these is great for what! SO glad you found it helpful! Sheet masks are my favorite! You would love them- they are so calming and hydrating to the skin and there’s so many options for every skin concern. The Patchology ones only take 5 minutes too, so you can’t beat that! I have tried these from Patchology and I do love them. They’re so good even though they’re always too big on my face lol. Glad to hear you’re a fan, Jasmine! Haha my husband always makes fun of me when I wear them. I’ve YET to try Patchology…I can’t believe I haven’t tested anything from them yet! I always preferred clay etc masks to sheets, but these look too good to pass up! I love, love, love sheet masks! Somehow I’ve never tried any of these out, but they sound SO good. I’ll have to check ’em out! Me too, Molly! I definitely recommend you try some of these out- they’re SO good! I haven’t used the sheet masks yet, but they look SO cool! 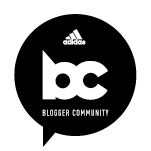 I will definitely have to check this brand out! Glad you enjoyed it, Trema! I agree sheet masks are so much easier, but I’m still drawn to bottled masks also haha. I want to try the detox one!! I really like it! It’s nice to use after your skin has broken out. These look lovely, the packaging is on point! Do you know if these products are non toxic? I love sheet masks and am always looking for recommendations! Can’t wait to try some of these! I think you’ll love them Laura! i’m obsessed with their branding! i’m gonna have to try these out ASAP.